Arguably still the most important piece of on-site optimisation, if you want to rank well for a particular keyword, you need to ensure that it features at the start of the title tag of the most relevant page on your website. If you don’t mention your keyword in the title tag, you’re going to struggle to rank. Whilst not officially used by the likes of Google as a ranking factor, your meta description is your sales pitch and, as such, you need to ensure you spend time putting together unique and enticing descriptions which urge people to click onto your site. Again, if you want to rank for a particular keyword, make sure that it features in your websites H1 tag on the ‘optimised’ page. The H1 showcases the most important heading and, with this in mind, it makes sense that this includes your target keyphrase. If you want to rank well, you need to ensure you’ve got some great content on your site and, in doing so, you need to make sure you mention the keyword you want to rank for. 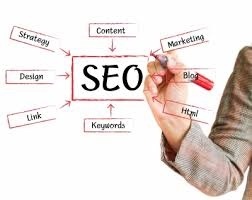 You don’t need to write specially for the search engines and keyword stuff (that’s a big no go), however in writing for the user, you’ll almost always end up writing in a way which works for search engines as well. We really cannot emphasise enough how important it is to have strong on-page content in place and hopefully we will see more and more webmasters and marketing agencies start to take this concept on board. A website with no text is no use to anyone so, whatever you do, ensure you spend a reasonable length of time putting together content which works for users but which also outlines to the search engines what it is you do. As far as we are concerned, it’s absolute vital that you have an XML sitemap in place for your site and if you don’t already have one, get one! If you’re working on a WordPress site, it’s as easy as installing a plugin to get your sitemap up and running but even if isn’t, there’s plenty of tools out there to generate one for you. When you’re done, ensure this is submitted to Google either by you or by someone else on your behalf. From an SEO point of view, duplicate content is a big no-go and if you’ve currently got duplicated content for whatever reason, it’s something which needs looking at. Depending on the options available through your content management system, you may be able tale a number of routes to getting this sorted, however the most common options will be either utilising 301 redirects or canonical tags. Both are effective at resolving duplicate content issues, however it really does depend on the set-up and system of your site. Above all, since the roll out of Penguin 2.0, on-site optimisation has become even more important and it’s ultimately those sites who take on-site seriously and put in the time and work through every little tweak who succeed and get noticed online. Don’t look past on-site optimisation! It may look tempting but trust us, in the long run its well worth it! Previous story Flying From London Gatwick? A Look At Your Options For Airport Hotels!